Take the purge to zero Brother printers, follow the steps below, if you have any questions write a comment. This error Brother printers can manifest as "Error 46: Can not clean," which if your printer does not have a touch screen is difficult to remove. Appears on printers because they have the manufacturer, this method can preserve the print quality, as when a considerable amount of pages have been printed with a Brother printer quality pages decreases and it is logical that a large amount of ink spilled on the pads of waste. This maintenance has high prices for consumers and it really is difficult to make contact with a company representative Brother in the region are, if you achieve service directly with the manufacturer, this change pads that are on the bottom left of the printer, change and be reset by a new meter. 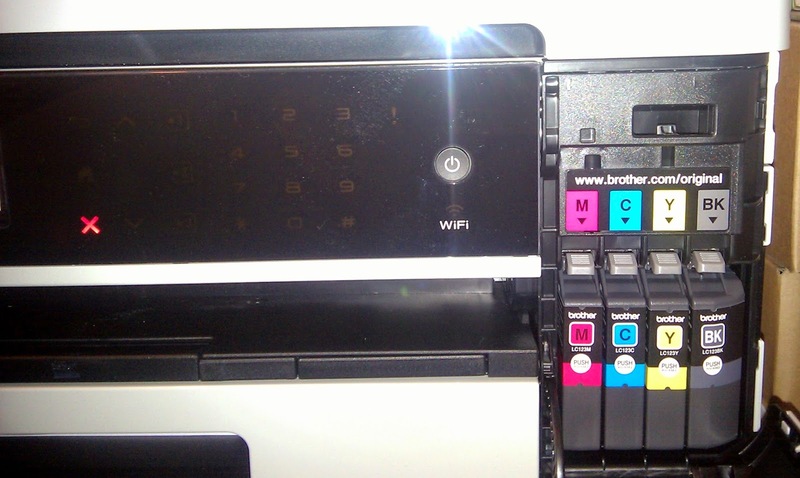 Although not always the ink pads are filled completely, although this error check printer may have many more pages printed without ink spills or electrical problems with ink in the printer. We can do a restore of printed pages and continue printing for a long time with our printer, it is recommended to reset pages to the printer really the bottom left start pulling ink. This reset also be used in the Brother DCP-J525W, DCP-J725DW, MFC 795CW, DCP-J925DW, MFC 990CW, DCP 6690CW, MFC J5910DW, MFC J825W and MFC-J6910DW printer. Depending on what your printer may vary buttons both in name and in place, such as Star, Menu and Set buttons may be down, not up like some printers. The Stop button can be termed as Exit or just a Red button. The first thing to do is turn on the printer, when presenting this this error and this blocked disconnect any media to print, say usb cable. Disconnect the printer cable electrical feeder and press the button Star. Now connect the power feeder cable to the Star button down, hold down the Star button until the printer says please wait please wait ... When this message appears on the printer release the Star button. The screen printer Maintenance message should appear. Type the number 80 in the printer using the number keypad on the touch screen or printer if the printer has one. Use the up and down buttons to navigate the Maintenance menu, navigate to find the PURGE option. Enter and put the numbers 2,7,8 and 3 buttons on the printer or if touch. On the side PURGE numbers indicating zero should appear. To return to normal operating mode, press Stop. As we can see the purge has returned to zero and the message disappeared so we can print again, if not all is well possible that the procedure has been bad, repeat and try to confirm the information correctly, if problems still repeating the procedure type a comment in the publication.